Welcome to the Ballard Cascade Team Real Estate office. This office is located in the heart of Ballard and is setup to service all of the Seattle area, including the downtown core. So whether your in Queen Anne, West Seattle, Phinney Ridge or Magnolia, we would welcome the opportunity to assist you with your real estate needs. Please contact us with questions, our local Seattle real estate agents are ready to assist with your local area home search. We are a company like no other because of the marketing, service and home seller savings we provide. We understand that in today’s real estate & home selling environment, we need to provide a high level of real estate service and wide spread marketing of the home for sale, utilize technology to keep our home seller clients in the communication loop and provide added value to both buyers and home sellers in the real estate transaction. Want more details? Subscribe to our Monthly Market Report. 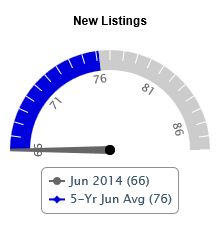 It's all about the current real estate market conditions in Seattle, and it's FREE! Curious about home values in Issaquah? Contact us today for a custom comparative market analysis (CMA) to help determine the valuation of your home. Angela recently joined the Cascade Team and is excited to help you find your perfect home. She has an extensive professional background that will ensure you are making sound real estate decisions and her customer service is paramount. Angela was born in Seattle, raised on Beacon Hill, lived in multiple locations between Renton and Mill Creek, and currently enjoys living in the Belltown area. She adores the Puget Sound and all it has to offer. For fun, Angela enjoys the outdoors, traveling, eating at amazing restaurants, and spending time with family and friends. Born and raised in the Seattle area, graduated from Willamette University majoring in business and psychology, and am now proud to be a Lieutenant with the City of Seattle Fire Department currently serving Lake City and Wedgewood out of Station 40. My family includes my wife Kimberly who is a second grade teacher at John Hay Elementary in Queen Anne, daughter Makena age 9, and son Andrew Jilong age 5. We have lived in the Magnolia neighborhood the past 10 years and I am excited to bring my past experience of building construction and neighborhood knowledge to serve Seattle and beyond. If I have one goal it is to provide the utmost customer service to each of my clients leaving them satisfied that they have chosen myself and The Cascade Team for their real estate needs." A polished, diplomatic individual, Susan brings with her the love of customer/client service and desire to help people. Together with her background in business and interest in architecture and design, she has found her perfect fit in real estate. She will work hard to meet her client’s needs in a fast-paced real estate market with the utmost integrity and professionalism. Knowing the market and community is crucial to taking care of clients and being a Seattle native and lifelong resident of Washington, Susan has a deep understanding of the Pacific Northwest and all it has to offer. Susan will strive to find you that special place – whether your criteria is schools, views, or proximity to downtown and provide you with the information to enable you to make the best decision possible. In her spare time, Susan enjoys spending time with her cats, loves being outdoors…gardening, enjoying the walkability of her Seattle neighborhood, tennis, golf -- and cheering on her favorite sports team…the Seahawks! Other interests have included the fostering program at the Seattle Animal Shelter, cat-sitting, and being one time editor-in-chief of The Zundfolge (car club magazine). Give Susan a call – she would be happy to meet with you to discuss your real estate needs. Marcus Roberts has over four years of experience as a professional real estate agent assisting new home owners, experienced buyers and sellers achieve their real estate needs. Since 2008, Mr. Roberts has been analyzing and purchasing real estate for personal use and is now offering his expertise to clients interested in income property. Mr. Roberts was raised in North Seattle and attended public and private schools in Seattle, his background allows clients to tap his extensive knowledge of the local neighborhood trends and the educational school systems of The Greater Seattle Area. Mr. Roberts is dedicated to understanding the needs of his clients, educating them about the buying and selling process and keeping them updated on their transaction through closing. Mr. Roberts has a network of seasoned and qualified professionals on his team eager and willing to assist his clients and their referrals through their home buying and selling experience.